Kruzin Kustoms Limited located at 39 Kelvin Grove Road in the city of Palmerston North, New Zealand. We're your one stop hot rod, custom lead sled, muscle car and classic car shop. Totally dedicated to building hot rods, plus full mechanical and body refurbishment on what ever you drive. 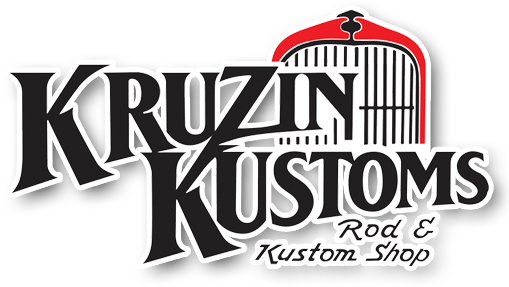 Kruzin Kustoms hit the ground running in 2005, the increasing demand for a hot rod shop that also caters for the custom culture as well as the traditional aspects of hot rod building and restoration of classic cars, muscle cars and even vintage rides has kept us busy ever since! Our workshops handle full mechanical work, engine transplants, all forms of engineering, air bag supply and installation, chassis fabrication plus full panel and paint work. Our retail hot rod shop stocks a plethora of hot rod hardware from the leading suppliers of parts direct from the USA, we are proud to be dealers in NZ for Ididit, So Cal Speed Shop, Heidts, Kugel, Lokar Shifters, Bous Performance, Mooneyes, Notchead, Speedmaster, Champion Cooling, EZ Wiring, Veethree Gauges, Borgeson Products, Flaming River etc..we ship weekly out of the USA and are experts at sourcing those hard to find parts. Professionals in supplying all the hot rod parts you'll ever need and with dealer status with most of the leading hot rod suppliers ex USA, Kruzin Kustoms makes building your ride easy with parts arriving weekly from the USA. We are also proficient at locating, buying and importing American vehicles and hot rods ex USA; we can arrange the purchase, internal shipping and the shipping down under, take care of the paperwork etc and once your American car arrives down under we can sort the registration and cover all the legalities needed to get your car on the road.